So I'm so excited about my latest glaze firing I just had to share a sneak peak at my first collection of ceramics. 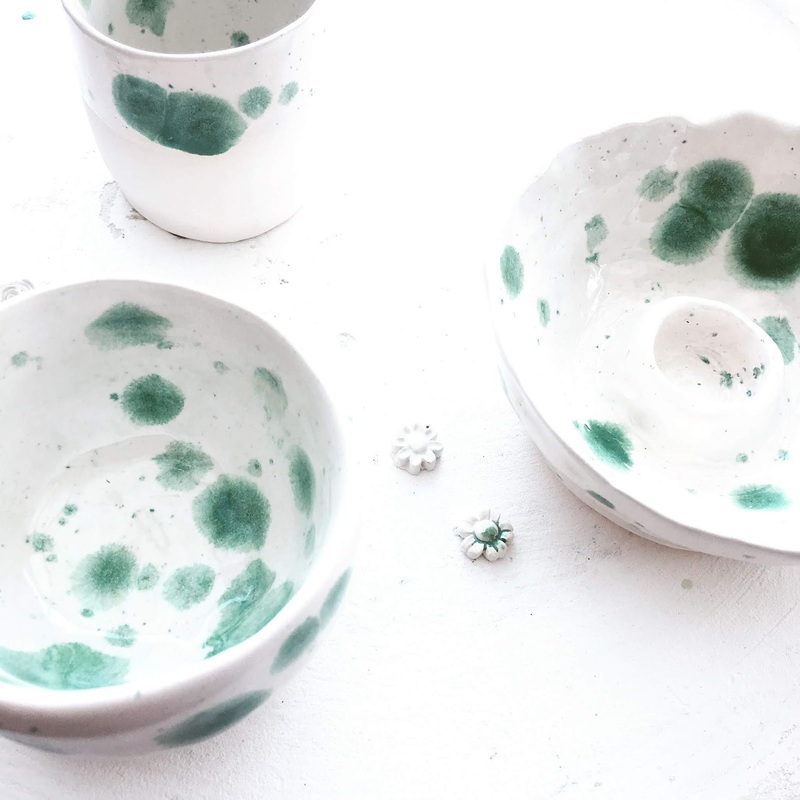 I love how the crystals in the glaze have spread and look like delicate drops of watercolour. What do you think?